One of my treatment projects was working on two WWI photographs with major losses. Ex-servicemen working on engines, before and after treatmentThese two silver gelatin photographs showing ISU’s part in post-war rehabilitation of WWI veterans were selected as part of a group of objects which will be shown in an upcoming exhibit by Special Collections/University Archives. Since the photographs will be on display, the large losses to the image area were determined to be distracting for the overall interpretation. I used Adobe Photoshop and a digital image of the photograph to create a fill for each loss that matched the surrounding image area. 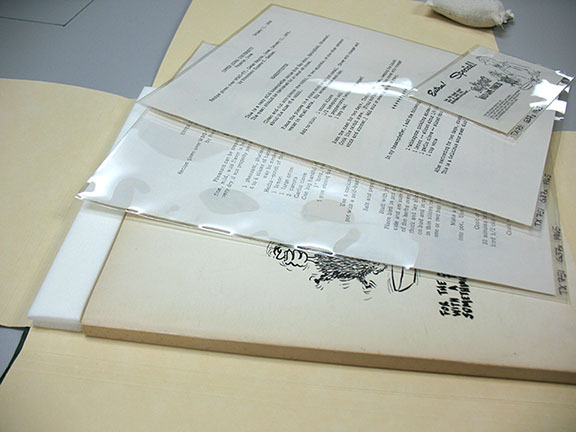 Each fill was then printed out on glossy photo paper, which gave it a shiny finish that matched the original photograph nearly perfectly, a feature that is very difficult to reproduce manually with traditional materials. Another great feature of creating fills this way is that the color and exposure can be manipulated quickly and easily to match the original photograph exactly, cutting out a lengthy inpainting and color-matching process. One thing to be careful of while making digital fills, which was discussed at length with the curator beforehand, is that the recreation of lost information can easily go too far, verging on suggesting imagery that may not have existed. Therefore, the fills are very nondescript, focusing on light-dark contrast and overall texture instead of completion of objects or figures. 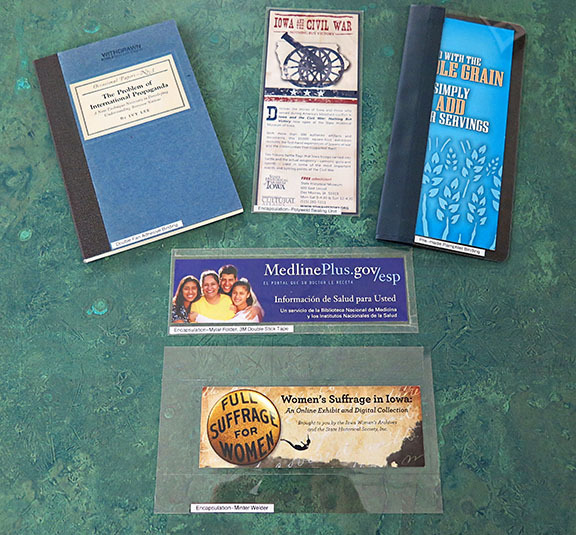 Another great blog post, “Digital Fills to the Rescue” by Rachel Pennimen, can be found on Duke University Libraries blog Preservation Underground. Throughout my time here Sonya was working on updating the library-wide disaster response and recovery plan. These plans are a crucial part of the institutional planning, and can help significantly reduce response time and overall damage to the collections in the case of an emergency such as a flood or fire. I helped with the updating process by making sure vendor contact information was current, filling in missing sections, and sifting through extant and potential format options to pull useful information and organization ideas and put them together into a streamlined, yet thorough, plan. One step toward a helpful disaster plan is identifying collection priorities, both in terms of value and sensitivity. 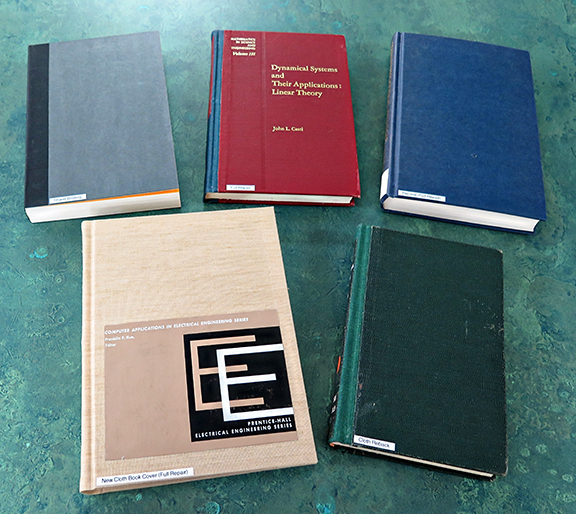 To this end, Sonya and I did walkthroughs of Special Collections stacks with the curators to pick out certain items or collections that were especially important to the University. Knowing this information and the inherent sensitivity of the materials in the stacks can help pinpoint objects that should be salvaged first in the event of an emergency. This project taught me a lot about how disaster plans are actually built and are meant to function within a large institution like ISU Library. My time at ISU was busy! But I am so happy with all that I learned and accomplished over these two months, and know I will put that experience to good use in my upcoming projects! Hi! My name is Emilie Duncan, and I am the 2017 Lennox conservation intern. 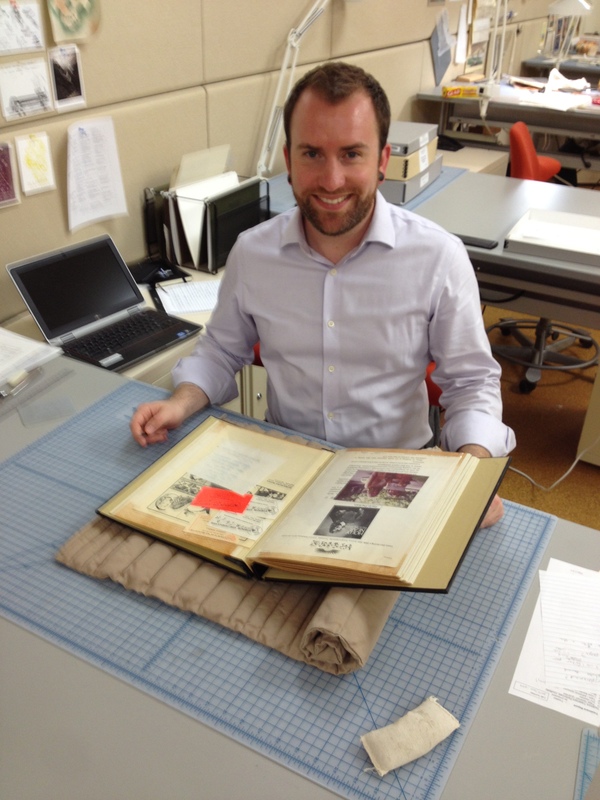 I come to Iowa from the Winterthur/University of Delaware Program in Art Conservation (WUDPAC), by way of Charlottesville, Virginia, where I just completed my third year internship at the University of Virginia Library. 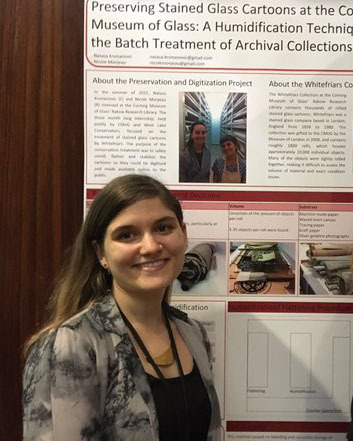 Although technically I do not graduate with my Library and Archival Materials Conservation degree until later in August, the completion of my internship year is a major achievement and I am viewing this internship at ISU as my first post-graduate professional position. 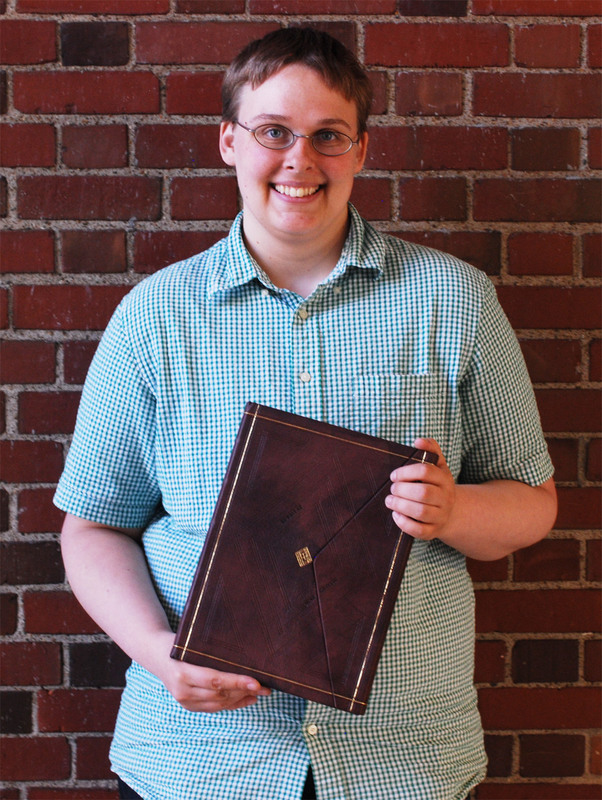 I was drawn to this internship because of the collections here at Parks Library, which include a wide range of archival materials, rare books, and objects. I studied Historic Preservation in undergrad, and from this gained an interest in historical objects of use as well as architectural and technical drawings. This internship will allow me to gain additional experience with these types of materials in an academic library setting. I am just getting started here at ISU, but I already have several treatment and non-treatment projects going, which I will be writing about in future posts. Part of my learning experience here will be simply understanding how the lab works and how the workflows are adapted to the specific collections and user population at Iowa State. By comparing and contrasting this information with other conservation labs I have worked in and will work in, I can gain insight that will help me make the most of my environments in the future. I am really looking forward to settling into the flow of the lab and exploring campus and beautiful Ames (although I will admit I am glad I won’t be here to experience an Iowan winter!) You will hear from me again soon! Lennox Interns – where are they now? We are currently reviewing applications for the 2017 Lennox Internship, this will be my first time participating in this process. Here is a link to the Lennox Foundation Internship information page. The 2017 deadline for application has already passed, but keep us in mind for the following year, if you are interested. 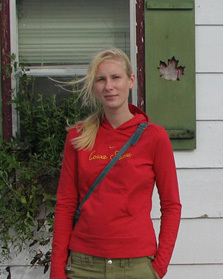 Recently I found myself looking up former Lennox Interns and ferreting out what some of them are up to these days. The results of my findings were impressive, here are a few tidbits. 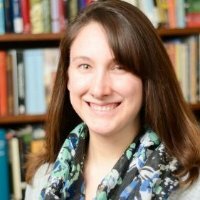 Works as a preservation librarian and a registrar at the Houghton Library at Harvard University. 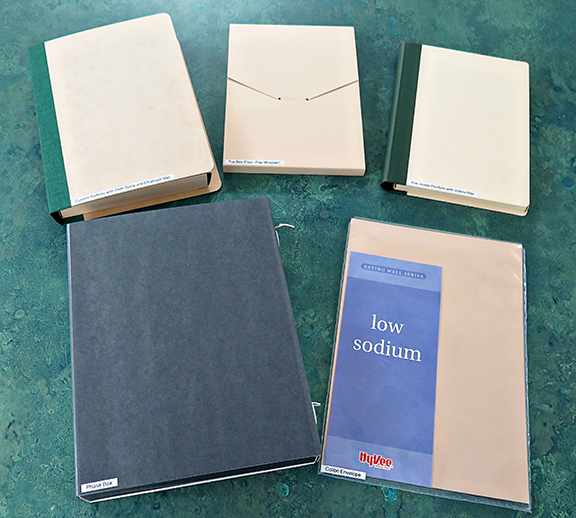 Works as the book conservator for the Regional Library of Upper Austria. 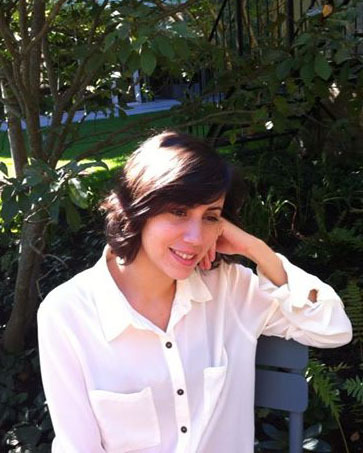 Went on to receive a PhD at the University of Michigan in Ann Arbor, focusing on the topics of curation, preservation and reuse. Then worked as a Data Librarian at the University of Rochester Library. Currently the Senior Business Intelligence Analyst at University of Rochester Medical Center. 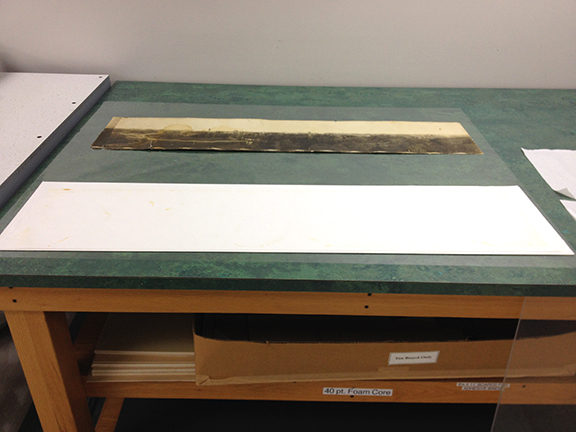 Works as a book and paper conservator at the Michigan State University Library in Lansing. 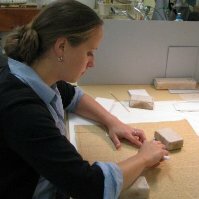 Went on to work as a book conservator at NEDCC (Northeast Document Conservation Center) and is currently a book conservator at the Huntington Library in San Marino, CA. 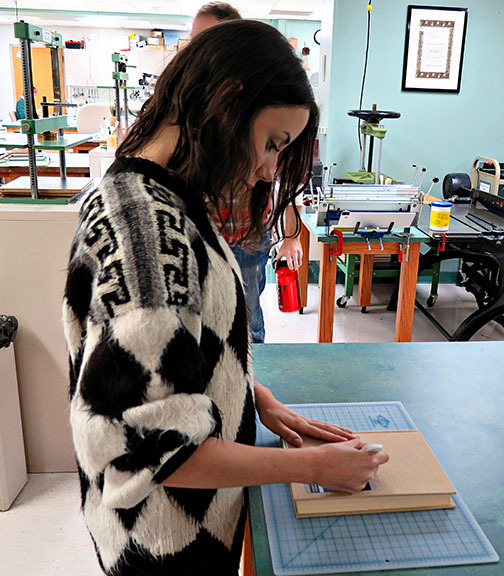 Went on to work as a book conservator at the University of Illinois Library in Champaign and is now a book conservator at Duke University Library in North Carolina. 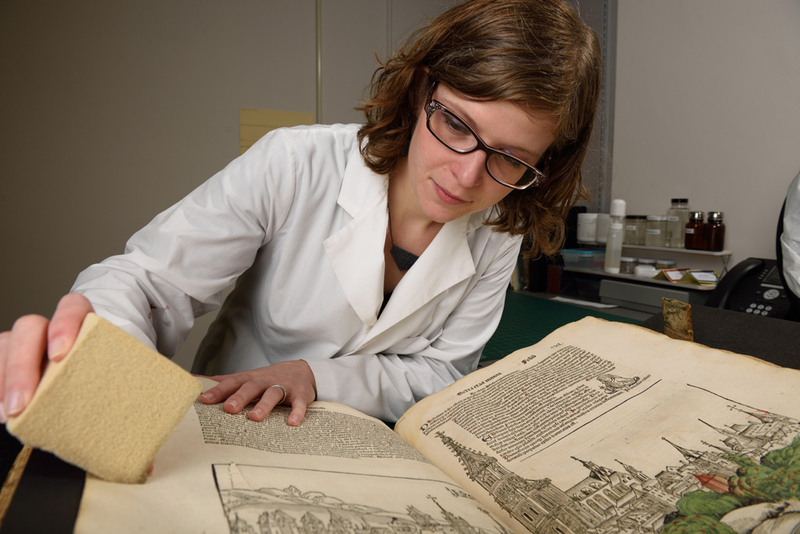 Went on to do a conservation fellowship at the University of Michigan Library and is now a book conservator at the Newberry Library in Chicago. 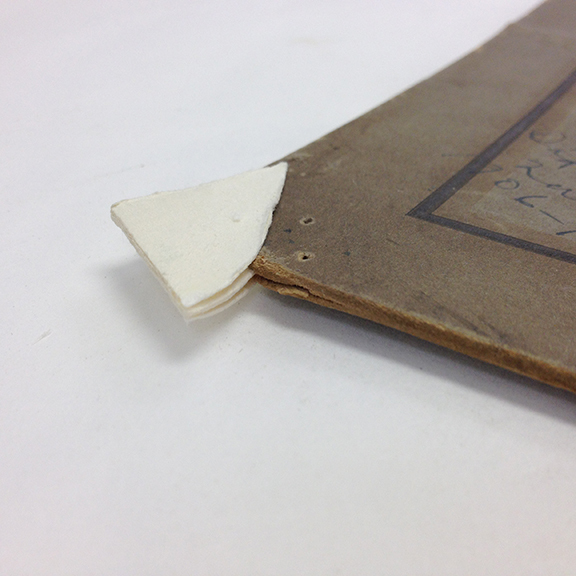 Went on to work as a book conservator at the University of Notre Dame Library in Indiana and is now a book conservator at the University of Virginia Library in Charlottesville. Worked at GOTIKA film restoration and preservation services. Is currently the producer of the Mobile Cinema at ACERCARTE, organized by the Ministry of Cultural Management of Provinicia de Buenos Aires. 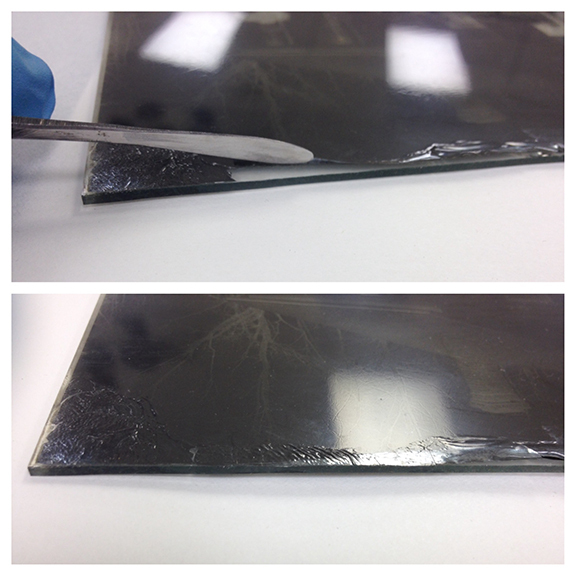 Went on to do an internship in paper conservation at the Corning Museum of Glass and to volunteer at the Midwest Art Conservation Center. 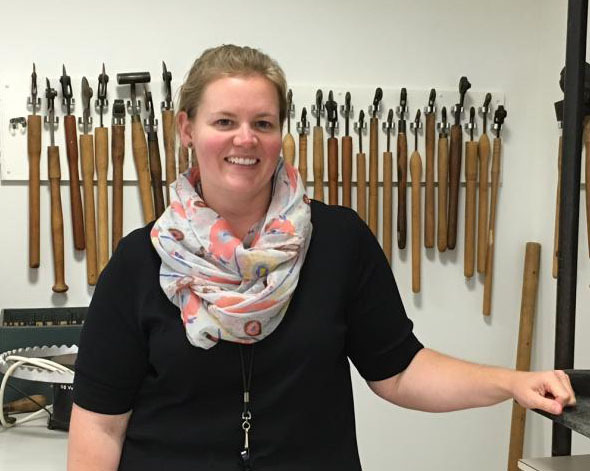 She co-presented a paper on her work at the Corning Museum of Glass at the 2016 ICOM meeting in Paris. 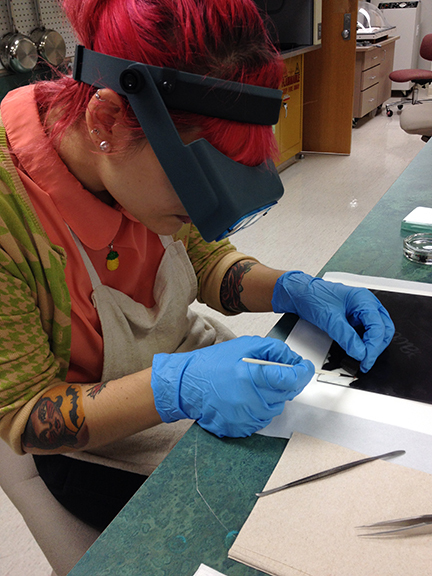 Nicole is currently working in Minneapolis as a conservator of paper and photographs in private practice. Here are some earlier blog posts from 2010 and 2011, written by Hilary Seo about former Lennox Interns.